Dead Man’s Shoes. 2004. Directed by Shane Meadows. Screenplay by Paddy Considine & Shane Meadows, with additional material from Paul Fraser. Starring Paddy Considine, Gary Stretch, Toby Kebbell, Stuart Wolfenden, Neil Bell, Paul Sadot, Seamus O’Neal, and Jo Hartley. 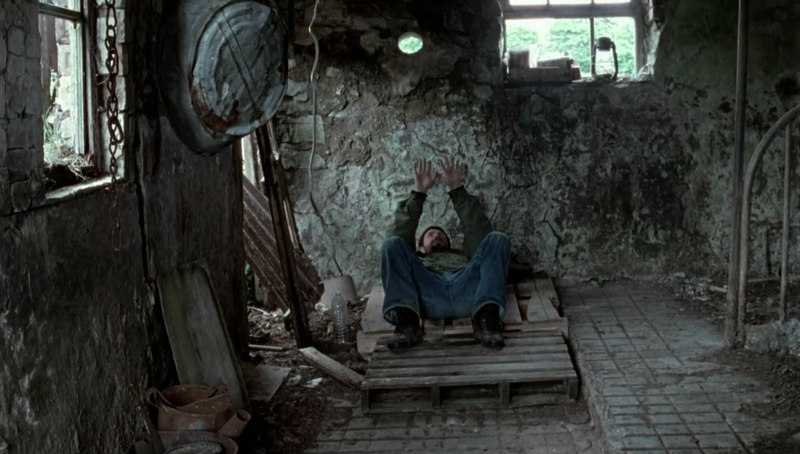 There is a special place in my soul for Dead Man’s Shoes. There are equal moments of thriller and drama here, bundled together with a bit of a crime story. What I love most, though, is the fact that Shane Meadows and Paddy Considine wrote an excellent, and even at times subdued, revenge thriller that doesn’t require a woman to be assaulted or savaged in order for the plot to kick in. Of course, one of the characters experiences an awful, cruel fate, however, this movie doesn’t feel the need to linger on extended sexual violence, as it seems is a trend over the past decade in a lot of horrors or thrillers going for the revenge angle. 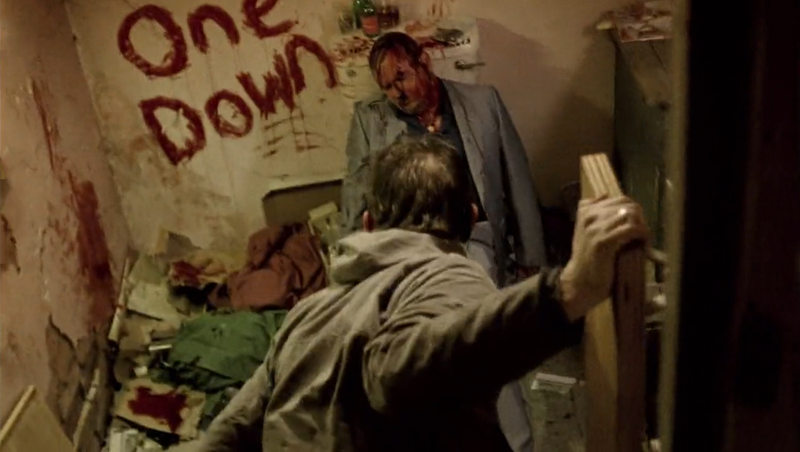 Apart from the revenge side of the story, I love Paddy Considine. He is an enormous talent who still in my mind appears underrated. Put him together with Toby Kebbell – another fine young actor – and the drama of the story in Dead Man’s Shoes becomes something beautiful. There’s enough here to satisfy the revenge quota. What Meadows does best is linger on the humanity of the revenge. Even in the finale of the film, there is this desperate need for the main character to feel human again after all that’s happened. One of the most important parts of this film: the revenge we watch in films is often too much about the revenge itself, and instead here we see the character seeking revenge, by the end, regretting the things he’s done. Because ultimately, revenge will never bring back the lost souls of those who have been assaulted, raped, killed, or led down the path of darkness wrongly by others. 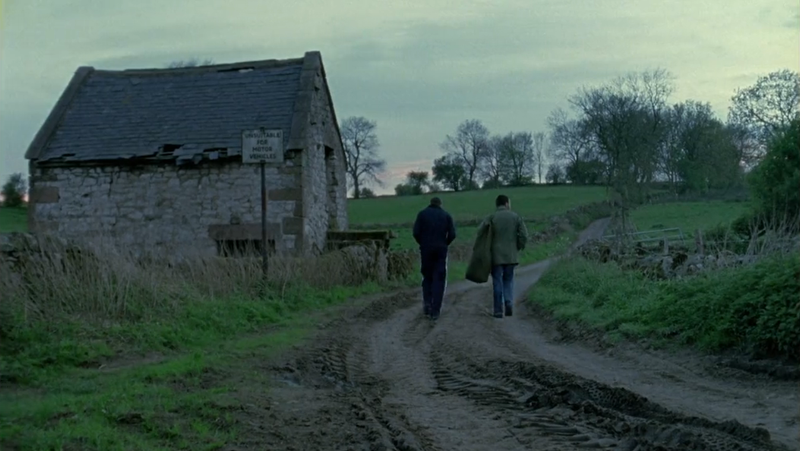 What I love so much about Dead Man’s Shoes is that the darkness and light co-exist, even in a visual way, throughout the film. By the end, we understand the only way for the light to shine on is if we can come to terms with the darkness in our hearts. 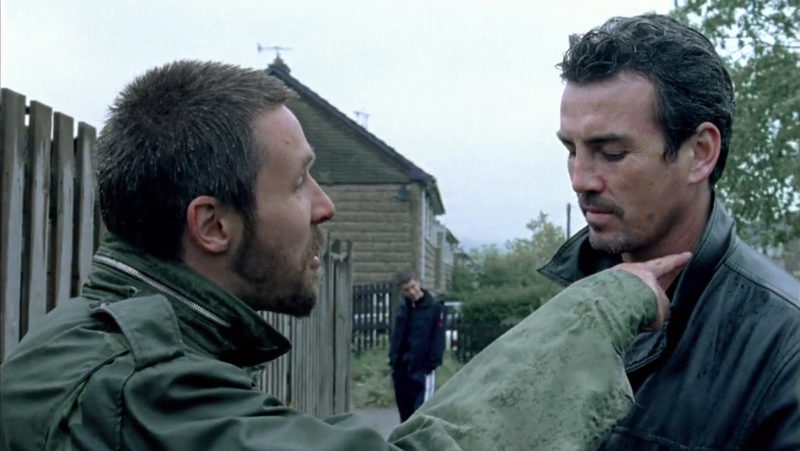 Dead Man’s Shoes sees a soldier home from a tour of duty in army to some small spot amongst the Midlands. His name is Richard (Paddy Considine). More than anything else he’s come back in order to exact revenge. Some cruel people in his old town did awful, nasty things to his younger, mentally challenged brother Anthony (Toby Kebbell). Slowly, Richard begins to enact a plan to wreak havoc and vengeance upon those who did his brother young, and as it escalates from psychological warfare to full-on violence, then murder, there is no telling how far Richard will go before he washes his hands of all the blood. As I mentioned, part of why I enjoy Meadows’ film so much is because it isn’t the same old typical plot we’re treated to in every last revenge thriller. Most of the time it’s a woman being assaulted, in some form or another, then a man, or maybe the woman herself, hunts down the culprits and does them in. Much as there are a lot of similar elements in Dead Man’s Shoes, there is still a good deal here which sets it apart from the pack. ATTENTION: For me continue, I need to include some spoilers. If you don’t want a big portion of this film ruined then you should turn around and stop reading. What separates this movie from similar revenge films is Richard’s brother Anthony. There are so many ways this comes into play. First, all the flashbacks in black-and-white, which I love as a visual storytelling device. At many points in the plot of present day, Meadows will cut back to a black-and-white memory to show us what happened with these bunch of lowlifes and Anthony. These are incredibly emotional flashbacks. Toby Kebbell does such a good job with the character of Anthony. He doesn’t make it a stereotypical performance of someone with a disability. Instead, there are nuances to the role. Makes everything feel so tragic. Then there’s the fact that by the end HUGE SPOILER ABOUT TO BE REVEALED we discover Anthony’s been dead the whole time. All the while he’s trotting along with his brother Richard, Anthony looking on as his brother avenges him, the whole time he has been just an image. Basically showing us how heavy Anthony weighs on Richard’s mind, how present he still is to his older brother, and this speaks volumes. 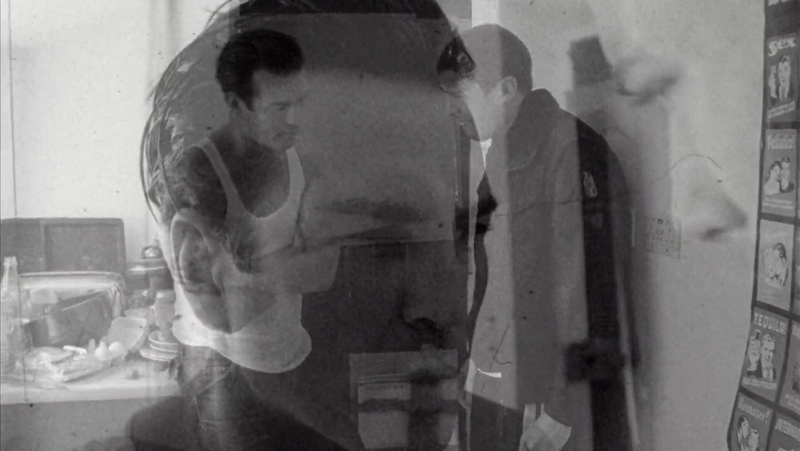 Richard walks around with the memory of his brother constantly, always beside him, always a reminder. There were actually a couple creepy parts. Like when Richard shows up wearing the gas mask. He’s left the words cheyne stoking written on the wall of the lads’ flat – those words are associated with several conditions: it is a pattern of breathing often displayed by those who are about to die. Truly chilling moment! Love the writing. There are a couple crack-up bits. 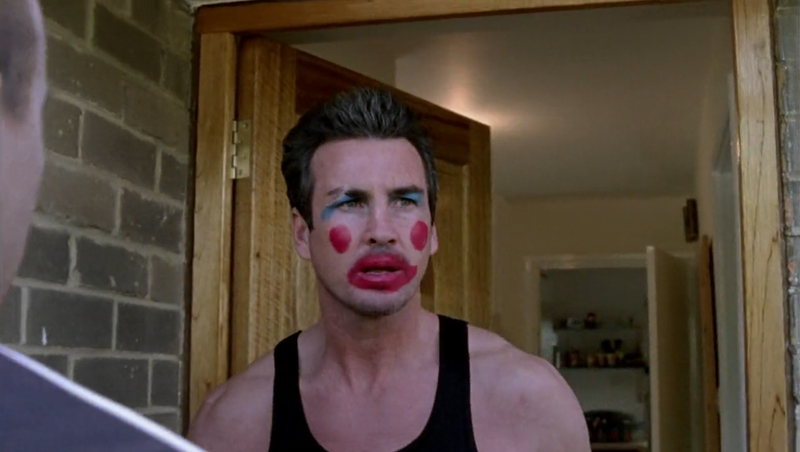 Such as the moment when Sonny (Gary Stretch) opens his door with a face painted up like a mime. I actually laugh aloud because, such a kick in the guts for ole Sonny – he has no idea his face was painted. But this also is a part of Richard’s psychological warfare he heaps upon the gang until they’re ready to fall apart at the seams. Considine and Meadows came up with interesting stuff for their script. One of my favourite films out of the U.K in the last 10-15 years. The performances all around in this film work so well. They kill me, but they’re great. Gary Stretch, who I’ve never personally been impressed by in anything else, plays a menacing, evil drug dealer. Flashbacks between his character Sonny and Anthony make me want to weep. Stretch should go for more small indie films like this because his performance was perfect here. You hate him, however, it’s a love-to-hate him situation because the acting’s impressive. 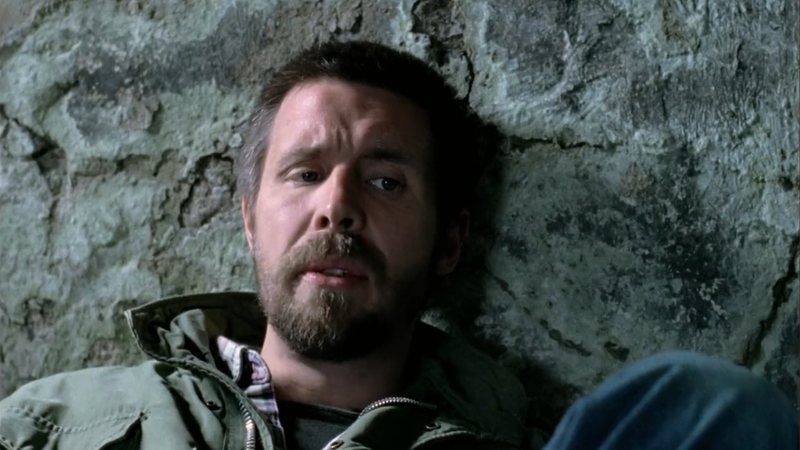 Paddy Considine is still, for me, the highlight of Dead Man’s Shoes. He brings out every last emotion you can imagine might emerge from a man such as this character. Considine blows me away in how he shows the pain. Anger is one thing; pain is entirely another. There’s a deep sadness in Richard, as he walks about the streets of his tiny town, followed by Anthony wherever he goes. Every angry gesture is steeped in that depression beneath the skin. An impeccable job on his part, and a highly underrated actor. 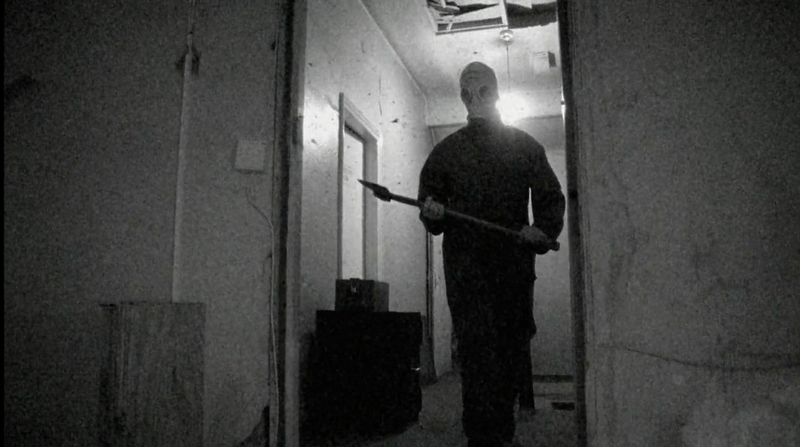 Dead Man’s Shoes is a fabulous independent film. The low budget feel comes across, but what Meadows does with all of it is great. The performances, even the supporting and smaller roles, each help the movie rattle along with a great deal of suspense, tension, and a nice few thrills thrown into the mix. Considine leads the charge with his vicious yet subdued acting. Kebbell and Stretch are equally fine actors on their game here. I can see how this might not have fared well at the box office because most people aren’t ready for such an intensely personal view of revenge, tragedy, and forgiveness. Especially with its grim and sombre finale; a downer, at the same time there’s also peace in a sense for the character of Richard. There’s no matching Dead Man’s Shoes, except a couple other titles – very few though – when it comes to the revenge thriller. See it. Lots of beauty, sadness, gorgeous music and settings, with enough heart and soul and thrills to satisfy. Enjoy this gritty, tough little flick. Considine and Meadows do wonderful work when they’re together, as well as apart. Thanks! Yeah I love Paddy Considine, so a few years back now I remember searching it out just because of him. I came to love the whole thing, a lot. Gritty, tough stuff at times but it’s one of those films I can watch time and time again.